Cape Cobras and Titans both are top ranked and successful teams in CSA T20 Challenge. Though, Titans is the most successful team and the defending champion. Their performance in ongoing season of CSA is very good. Though, at the end of the season, they faced couple of defeat where one of them was against Cape Cobras. In their last meeting in 8th December, 2017 Cape Cobras won by 3 wickets over Titans. However, it was their second meeting in the ongoing season. Earlier in the first meeting, Titans beat Cape Cobras by seven wickets. So, it seems that it was a revenge of Cape Cobras. The match between them was taken place at Newlands Cricket Ground, Cape Town and the field umpires were Shaun George and Allahudien Paleker. Cape Cobras won the toss and let Titans to bat first. 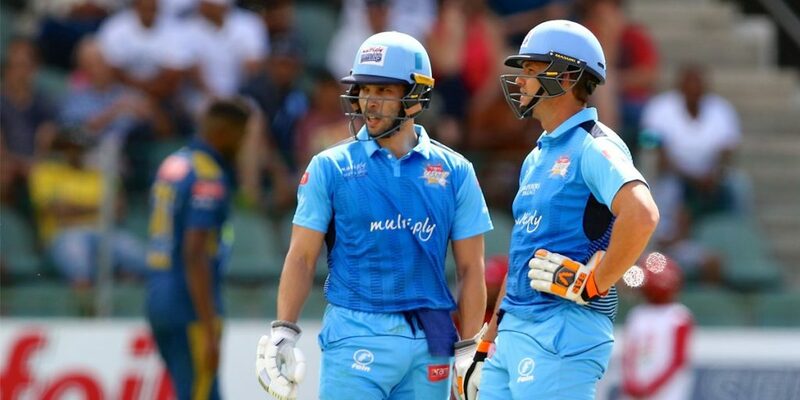 Titans scored 132 runs in the first place by losing 9 wickets. Farhaan Behardien scored highest 43 runs for Titans. In return, losing seven wickets in 19.5 overs Cape Cobras reached the targeted destination. So, they won by three wickets against the most successful team. Titans possessed the most talented squad among all the franchise teams and most of the players of Titans used to play with South Africa national team. So, they opened their innings with De Kock and Davids. The opening partnership did not work out by in 11 runs De Kock was gone by Paterson. He scored just 6 runs. 2nd wicket Markram was gone in 21 runs. But Opener Davids stood still and led his team to a good total. He made a partnership with Behardien. Davids scored 30 runs and Behardien scored 43 runs for the team. Just four players of the team made it to the two figure runs. Morris scored 16 and Siboto scored 19 runs so far. In selected 20 overs they scored 132 runs which was almost a fighting score. Dane Paterson took highest three wickets in exchange for 28 runs for Cape Cobras. In return, Cape Cobras started well. Levi and Amla made a good start and added 39 runs in opening partnership. Amla scored 12 runs and Levi scored 27 runs so far. In the fact of Cape Cobras, they also faced batting problem where Titans bowlers tied their innings. But finally in 19.5 overs, they managed a victory against Titans. They lost seven wickets. Bavuma scored highest 29 runs and Adams scored 20 runs for the team.